Start your day on a high, literally. Pot legalization laws have created a fertile market for edibles, and we’re loving the munchies-slaying results it’s yielding, like pot sizzurp, pizza, and grilled cheese. Now two of our favorite legal drugs are being combined into one physiologically confusing product: cannabis coffee. 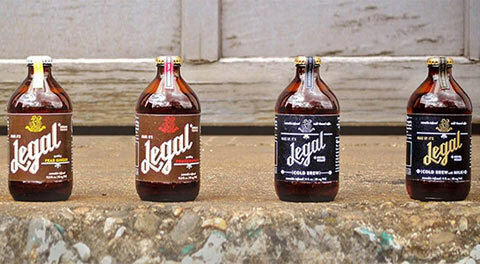 A Washington-based company is releasing a line of cold brew called Legal; each 11 oz bottle contains 20mg of THC, which should provide the same strength buzz as a beer or glass of wine. The coffee comes either plain or with cream and sugar, and is designed to give you “an uplifting head high” reports Elite Daily. 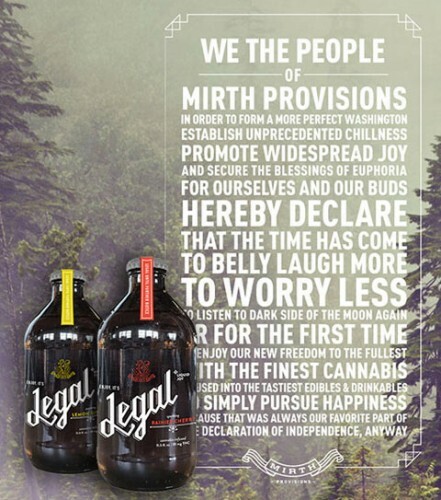 Think of it as a brunch cocktail for stoners. If you’re concerned that the Morning Joe and Mary Jane will counteract each other, you can always spring for Legal’s sparkling cherry, lemon ginger, and pomegranate drinks instead. Product developer Adam Stites told the Huffington Post that an inspection by the state’s department of agriculture is scheduled for June 12, and he anticipates that the retail operation to be up and running by early July. The bottles will most likely retail between $9 and $11, which is a small price to pay for your morning cold brew and daily dose of THC in one convenient, well-designed package.